Tenkeyless, sort of old mech keyboard. Uses MX Blues, which are clicky and have lots of feedback. Slap on some O-rings and you have an unparalleled typing experience. Got one of these from a friend with a Frosty Flake v2 and the Dolch DSA keycap set and it's fantastic! Can't imagine a better starter mechanical keyboard. 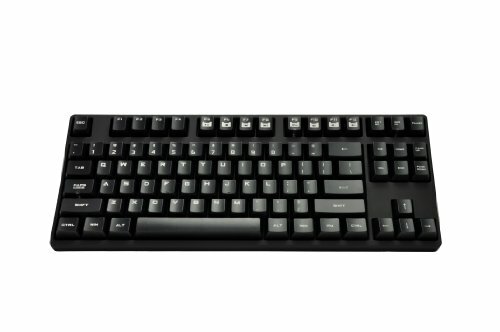 Easily the go-to keyboard for anyone looking for a real Cherry MX keyboard on a budget. Looks good and built like a tank. No RGB, macro keys, or any gaming nonsense. Frame easily popped off so I was able to paint it orange. And of course, Cherry MX Blues are a pleasure to type on.